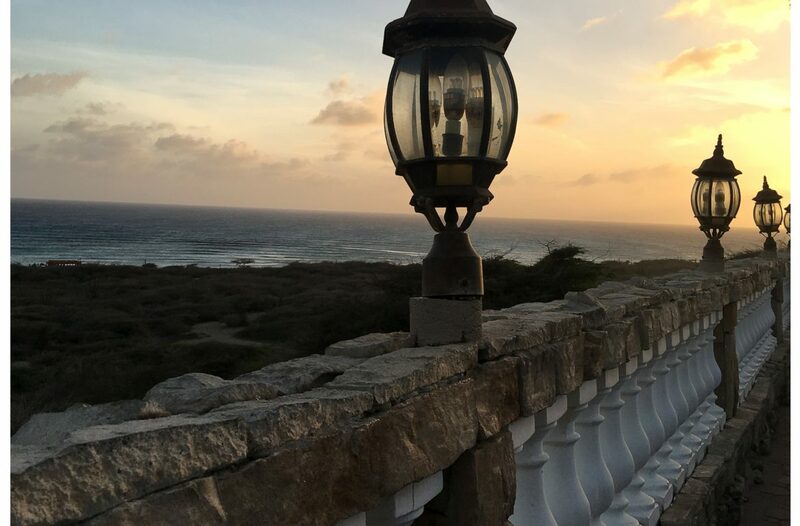 The Hubby and I recently visited Aruba, with another couple with whom we have been friends since college – we were all celebrating our 20 year wedding anniversaries! 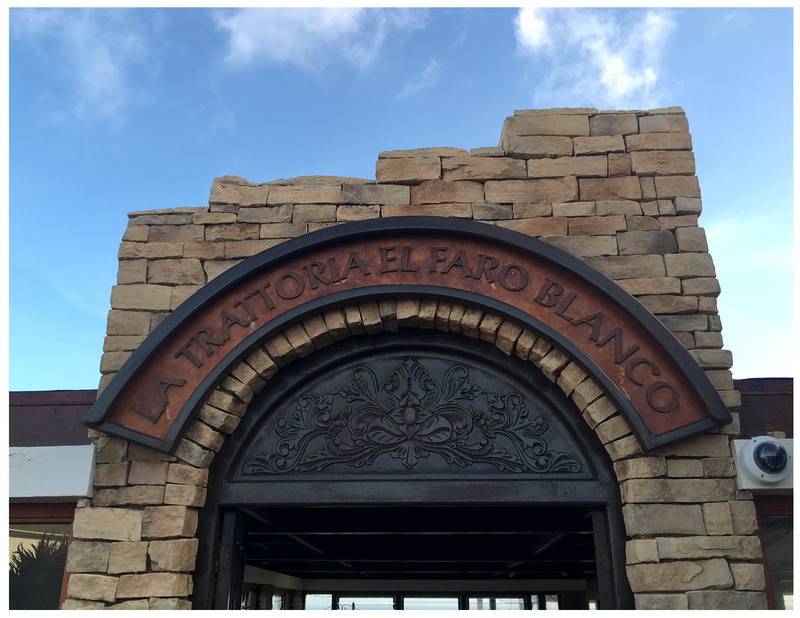 While there, we decided to check out La Trattoria -El Faro Blanco which is an Italian restaurant that is located right next to the California Lighthouse, located on the northwest tip of the island. 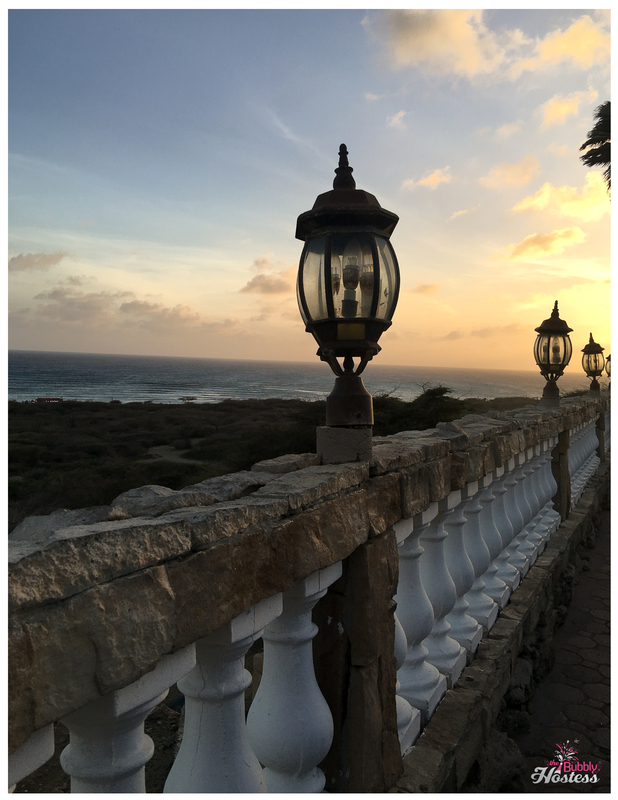 This was just a 15 minute cab ride from the resort where we were staying, the Occidental Grand Aruba. 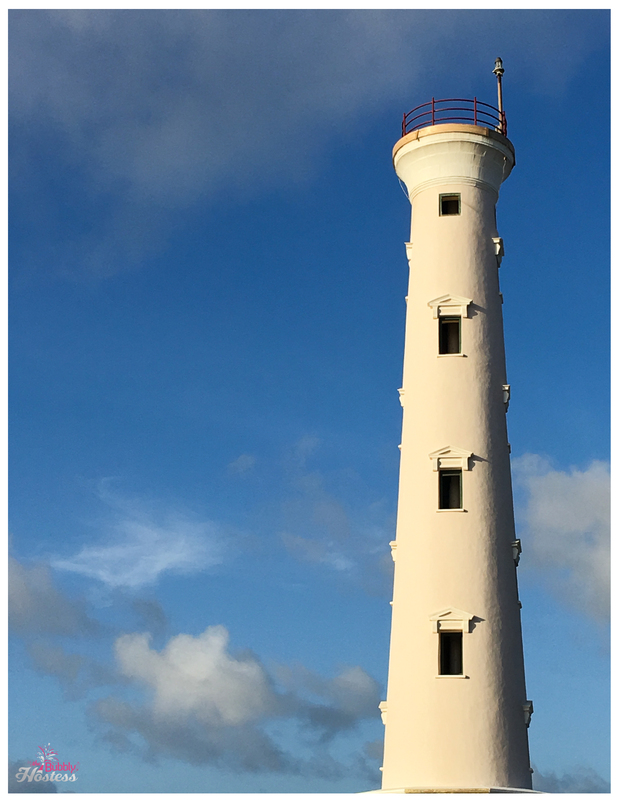 The restaurant is right next to the lighthouse, unique architecture on the outside and fantastic views from the patio! If you go here, you’ll need to make a reservation and make sure you request the patio – it is a must….and full of visitors taking photos too! 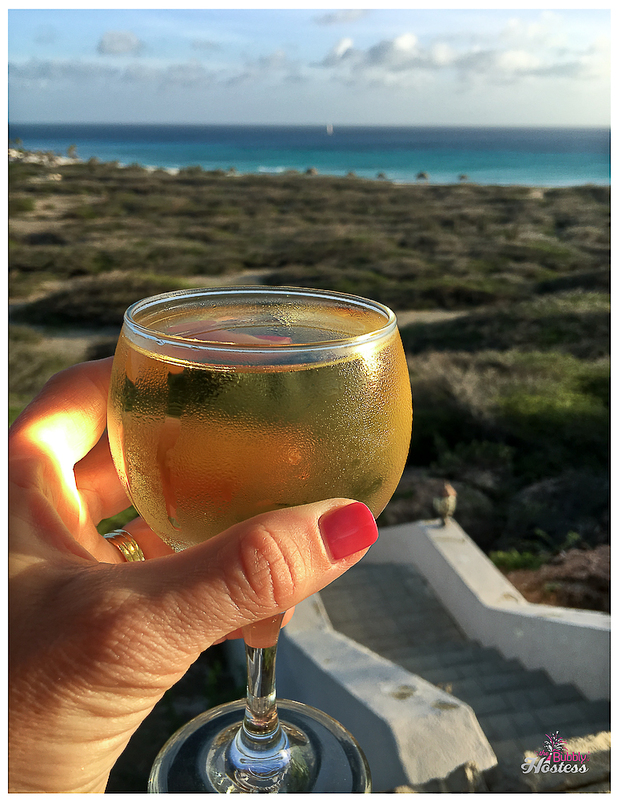 Upon arrival, we enjoyed a cocktail in the bar – and they certainly offered a nice pour on my Pinot Grigio! This next photo is one of my favorites – we sat right next to this wall and this was my view…. 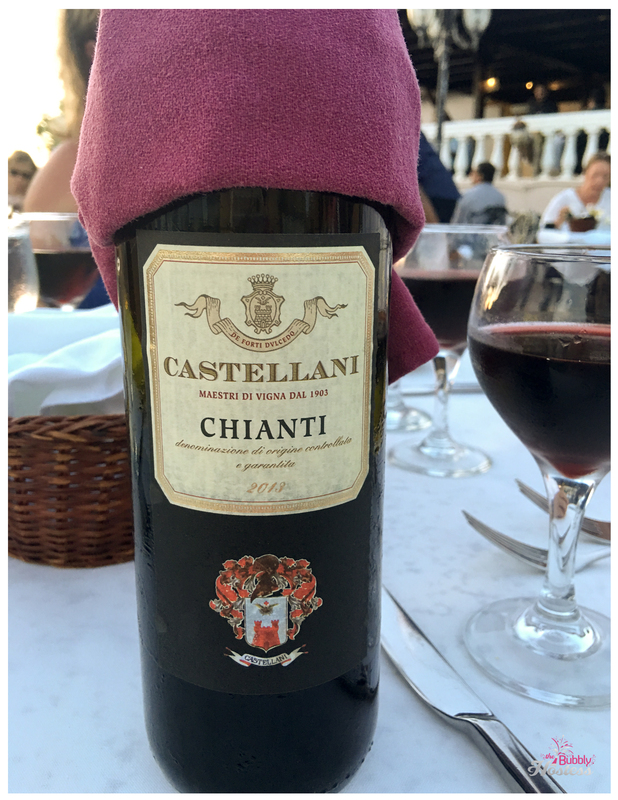 I was able to snap a quick photo of our wine for reference….but by the time we started eating, it was a little dark for photos! Each of us had amazing meals, you can see their full menu here. Our friends each started with the Insalata Cesara, The Hubby ordered the Insalata Ortolana (mixed salad), and I enjoyed one of my all time favorite types of salads, Insalata Di Rughetta (arugula). For dinner, our friends ordered the following: Linguine Alla Vongole (Linguine agliolio sauce with clams, garlic, parsley and olive oil), Fettucine Al Salmone Affumicato (A nice bed of Fettuccini pasta served with a rich creamy tomatoes sauce with chopped smoked salmon). The Hubby chose the Fettucine Con Gamberoni Alla Vodka (Specialty of our La Trattoria el Faro Blanco- Fettuccini with a creamy pink sauce prepared with fresh tomatoes, basil, a splash of vodka topped with jumbo shrimps). While I enjoyed the Fusilli All ‘Amatriciana (Curly short pasta with sautéed Italian bacon and prosciutto with onions, basil, garlic and fresh tomatoes). 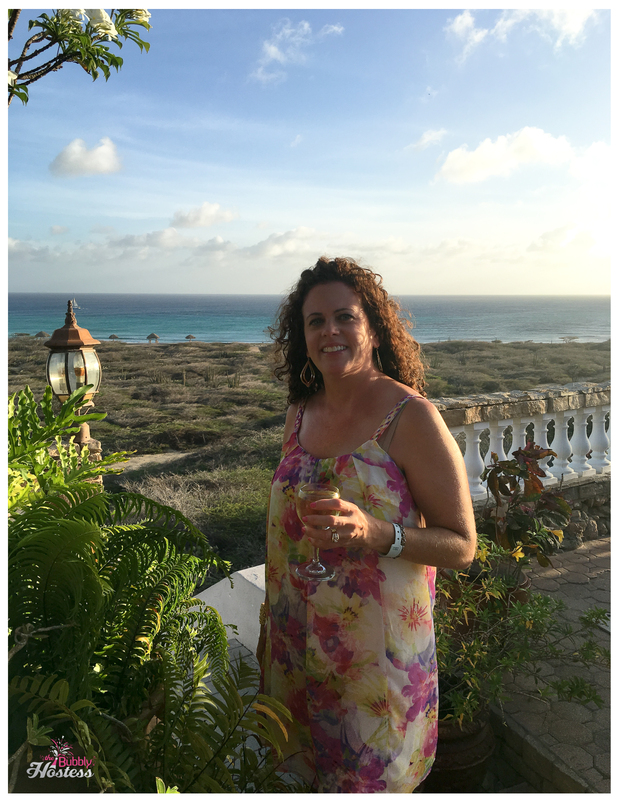 Everything was fantastic – the service, the food, the wine, the view…and especially the company! Sounds like a lovely evening. Reading your story made me feel like I said was able to share your experience. 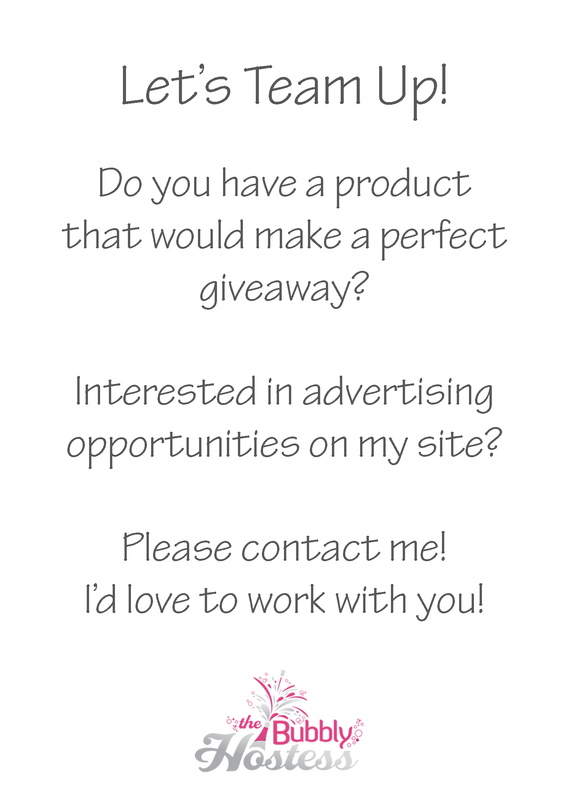 Thank you Cathy, I’m happy you stopped by my site to read it! It was an amazing evening! We are newbies to the island and thrilled for some great reviews. We have no clue where to eat so this helps immensely. Glad you enjoyed your meal. I hope I say the same next week! Hi Penny! 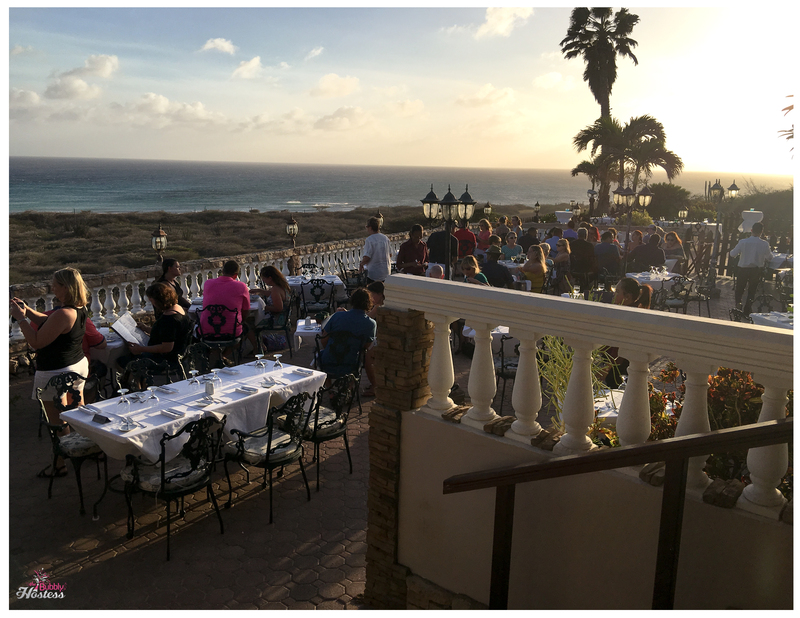 We stayed at the Occidental Grand which is an all inclusive resort – so we only ate off of the resort twice. The other place we visited was Texas de Brazil – which is a Brazilian Steakhouse, located in Palm Beach – it was fabulous! Tons of food! I hope you enjoy your trip – I’d love to hear what restaurants you checked out while there!